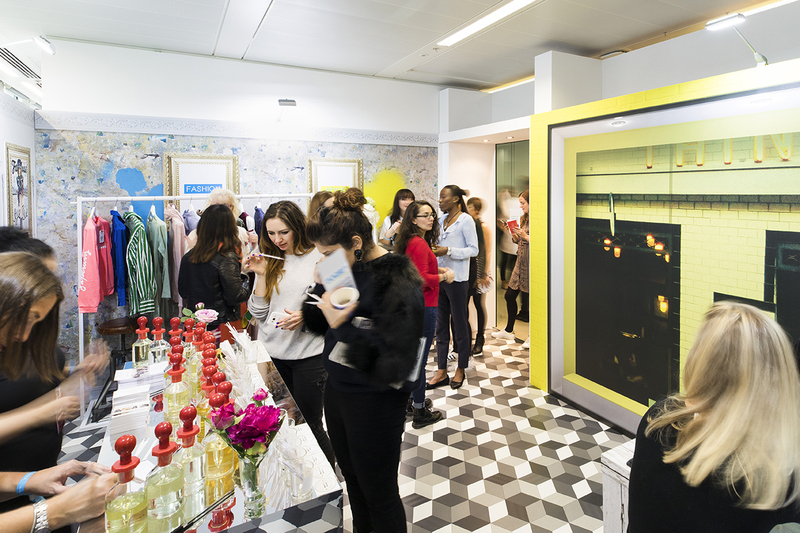 For more information on how Limeblue can help your business stand out from the crowd at an exhibition or event please call us on 01428 651878. Or fill out our enquiry form located on the Contact Us page. 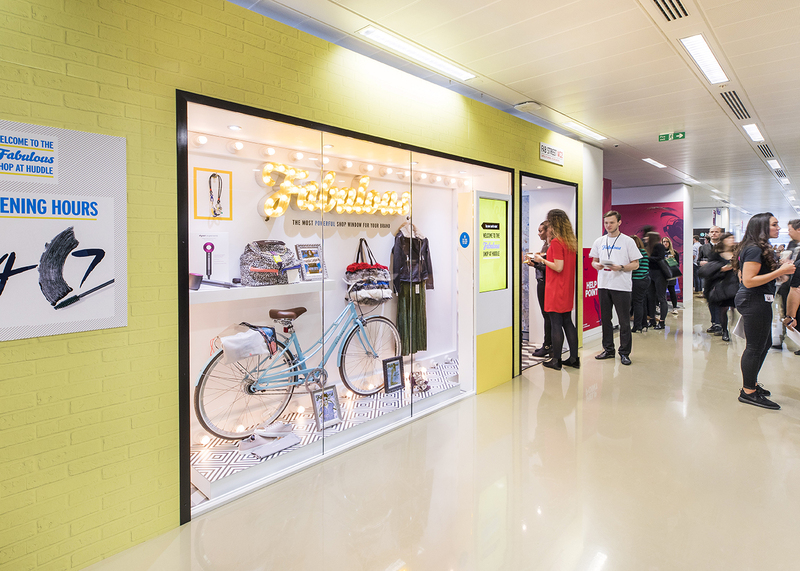 Limeblue installs Fabulous shop for Mindshare Huddle 2017. 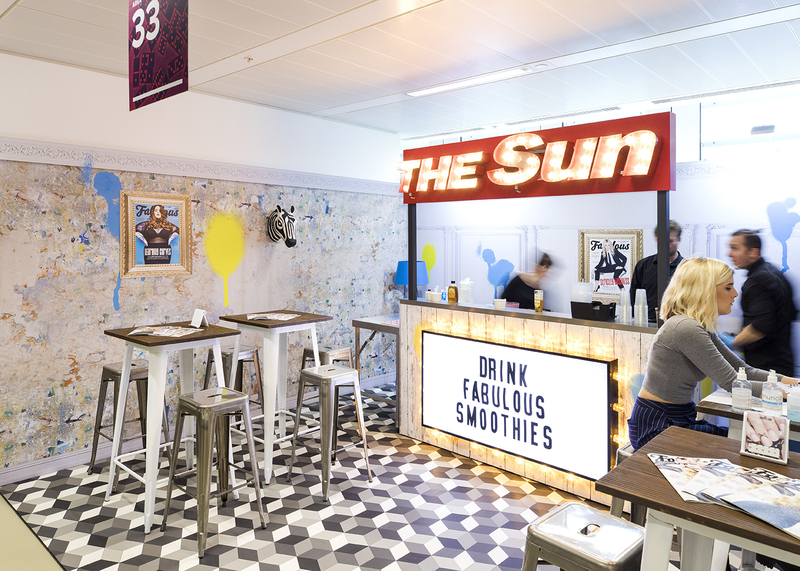 It was a pleasure for Limeblue to install the Fabulous shop and smoothie bar for its client, Market Partner at Mindshare Huddle 2017. 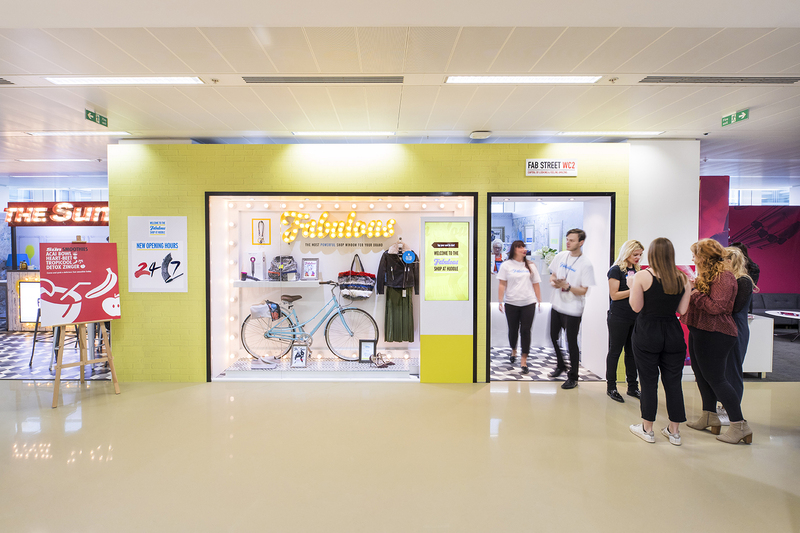 Branding agency, Mindshare host the annual Huddle event at its offices at Central Saint Giles, London where partner companies are invited to open pop up stores and run sessions throughout the day. The topic for discussion was of ‘artificial intelligence in journalism’ and representatives from companies, such as Google explored this year’s theme, ‘The Journey to Post Human’. 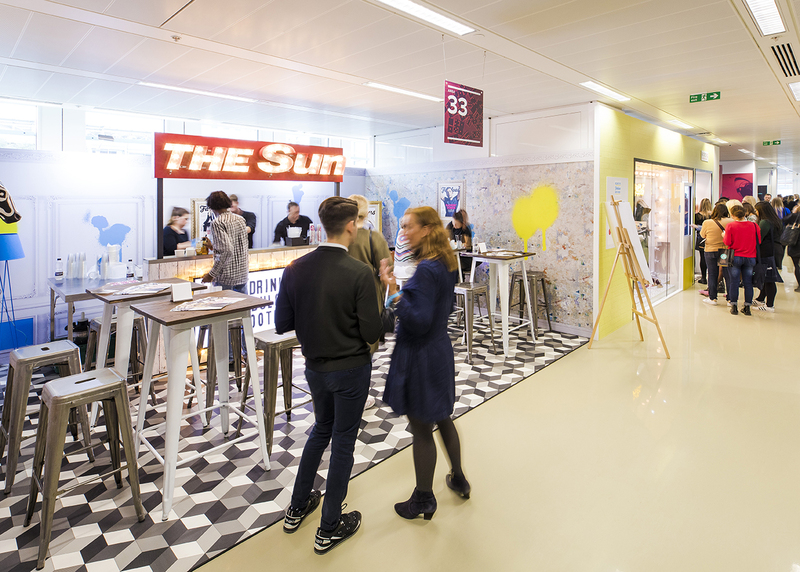 Limeblue installed the pop-up space on behalf of Market Partner’s client, News UK. 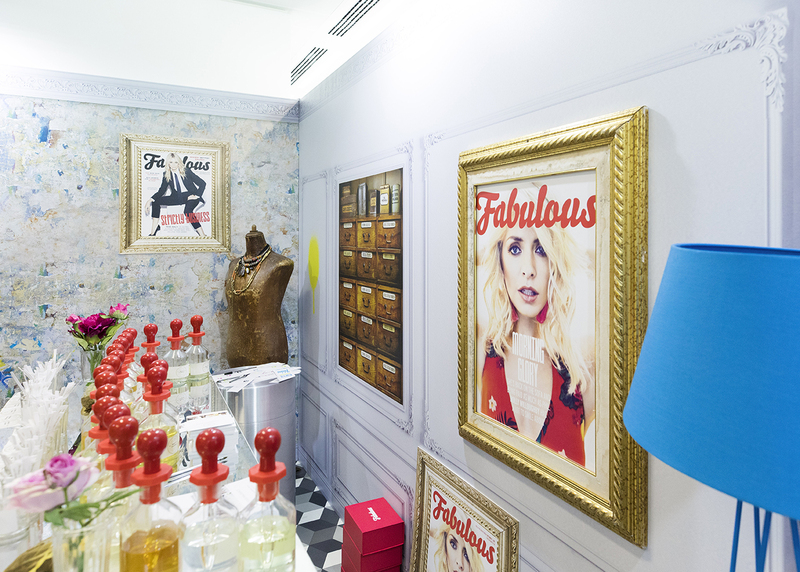 Visitors to the shop could receive nail treatments, colour consultations and bespoke fragrance samples or they could take a break in the healthy juice bar. 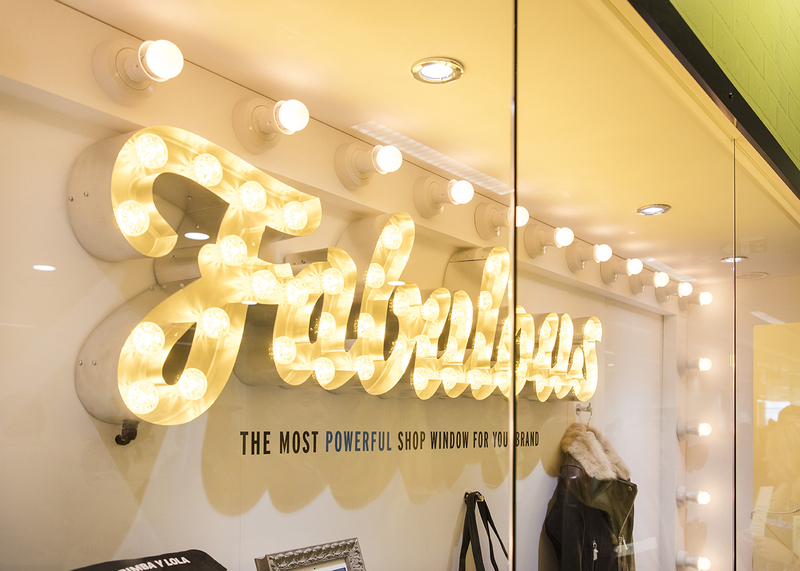 Market Partner promoted Fabulous’ involvement with its innovative NFC technology where visitors could download an app and enter into a competition to win one of the prizes in the shop’s striking window display. It was certainly a popular event judging by the queues and the staggering 2,236 entries for the competition.